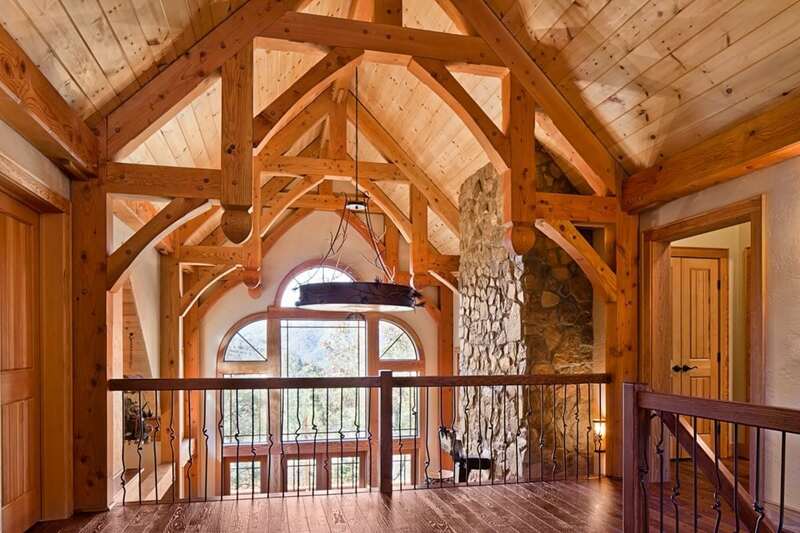 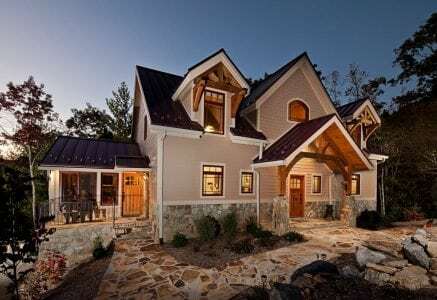 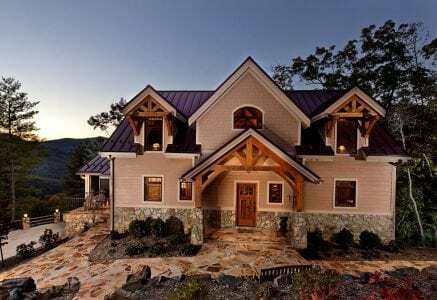 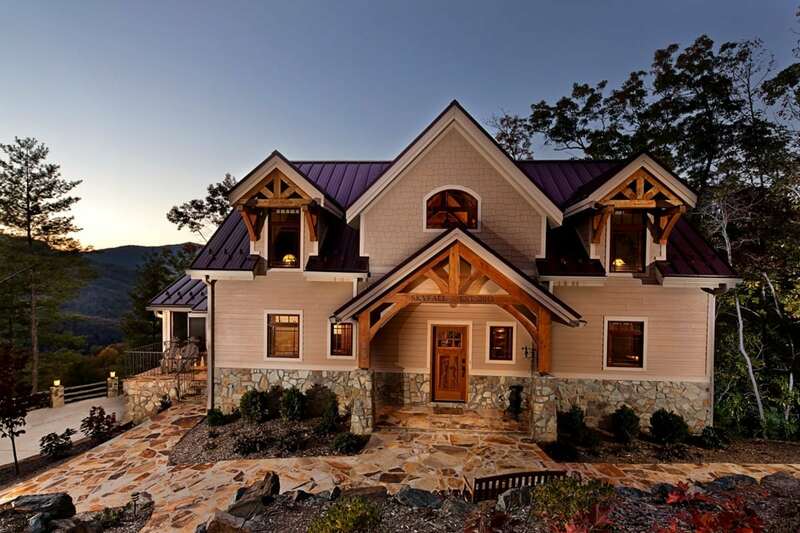 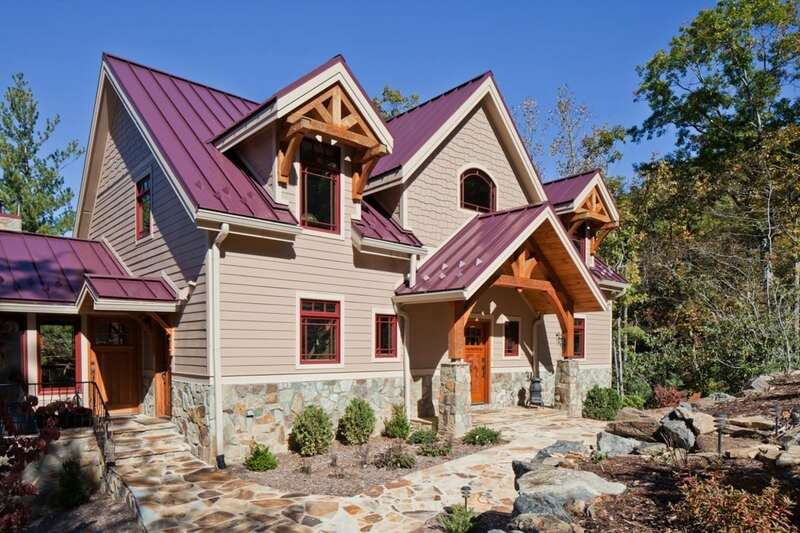 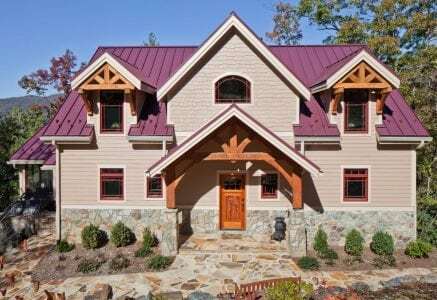 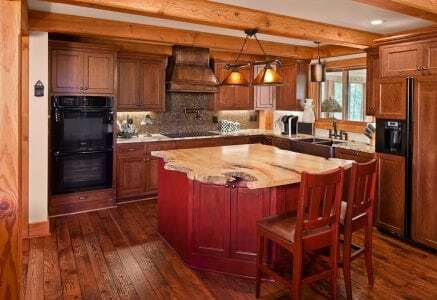 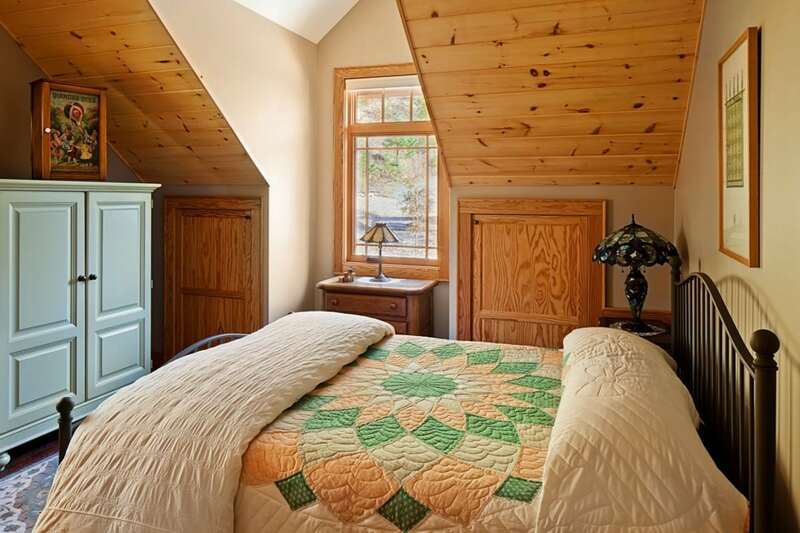 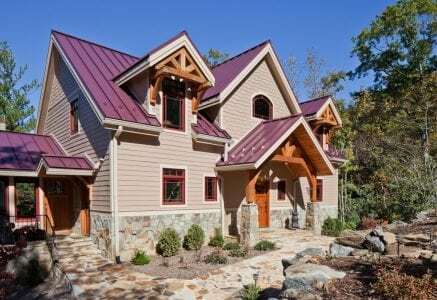 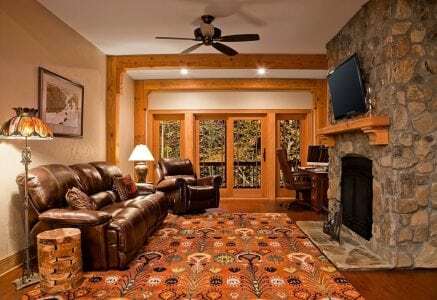 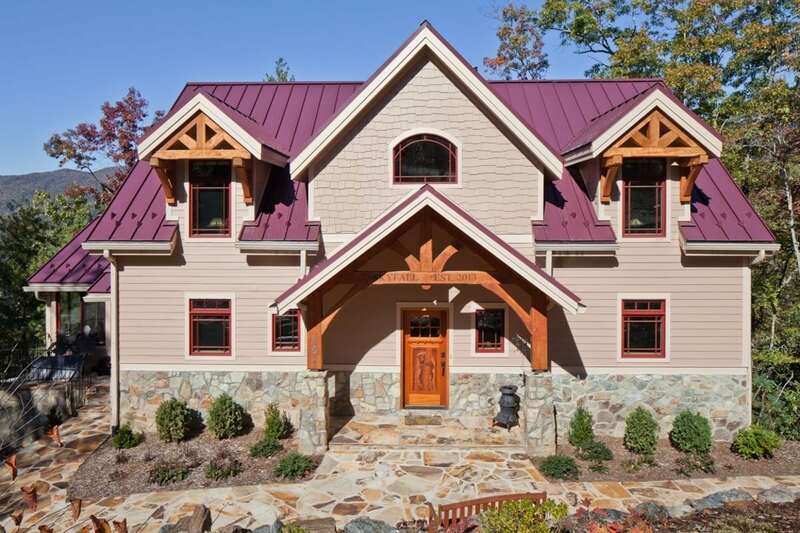 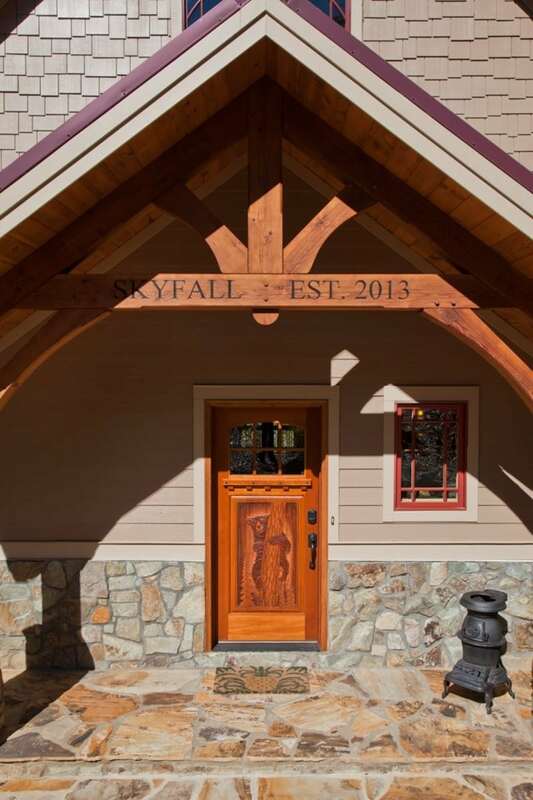 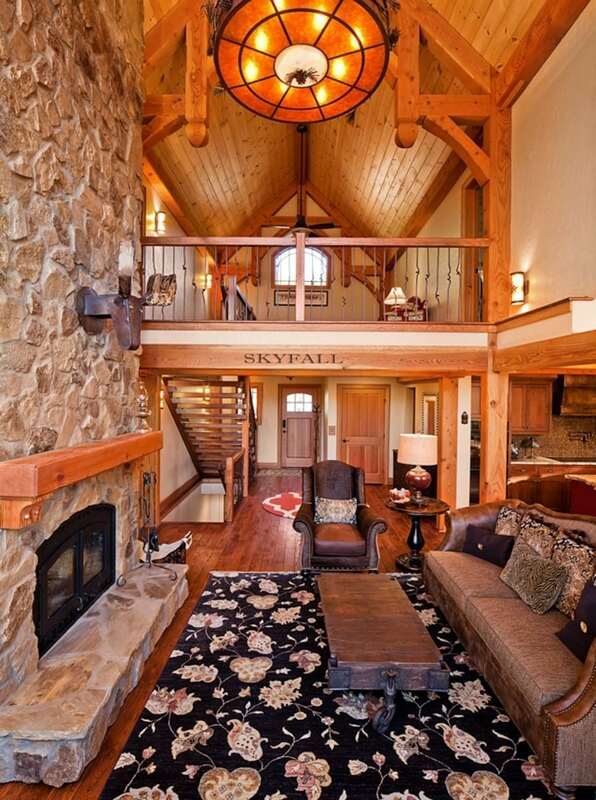 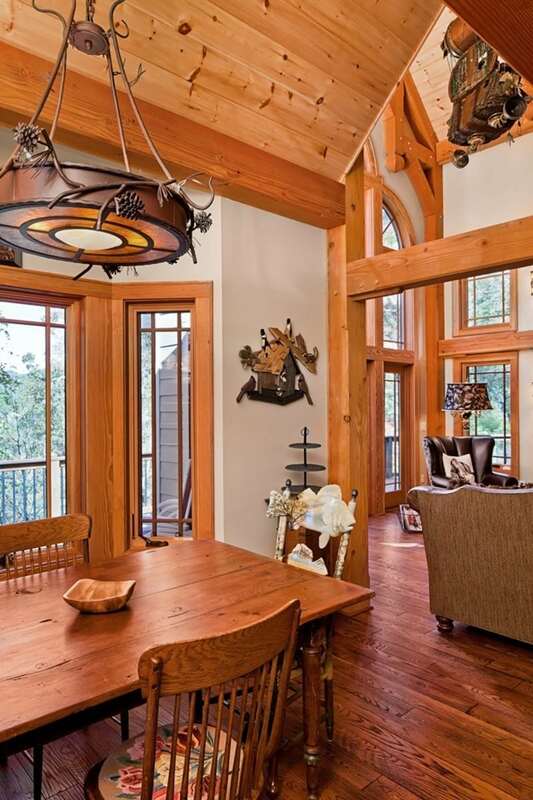 The history and traditions of Appalachia are reflected throughout this mountain-style timber frame home. 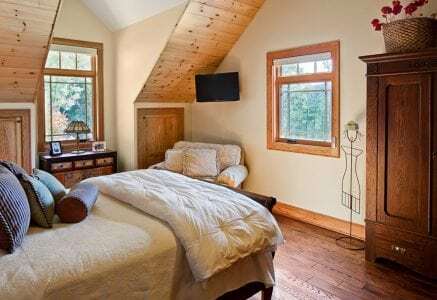 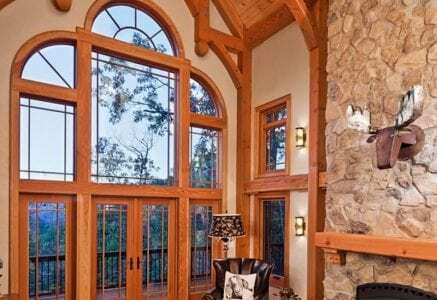 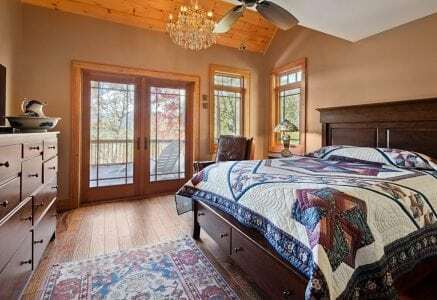 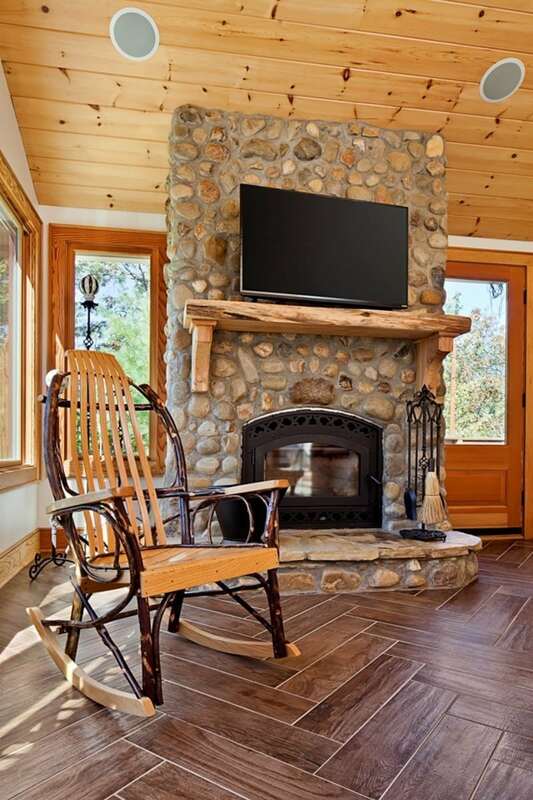 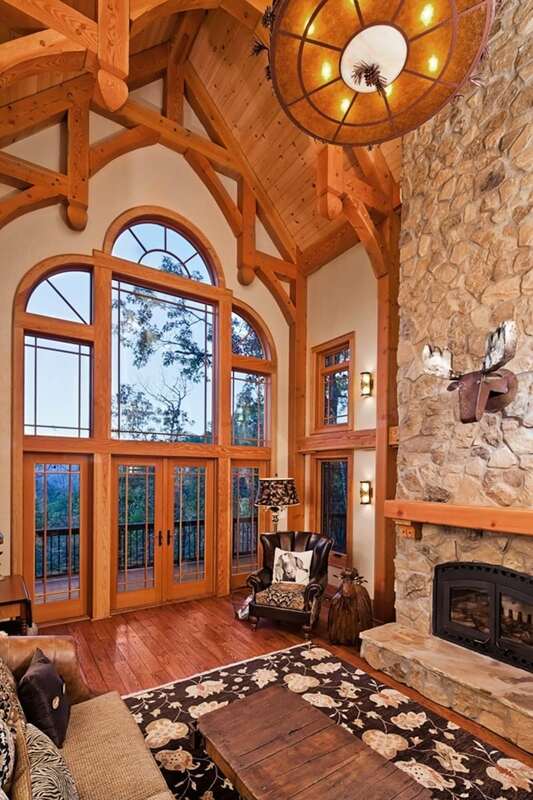 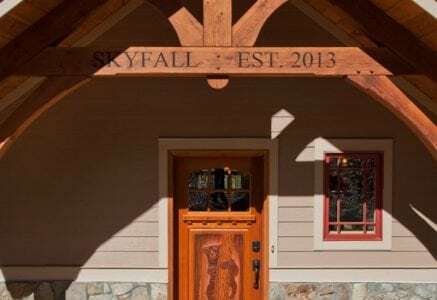 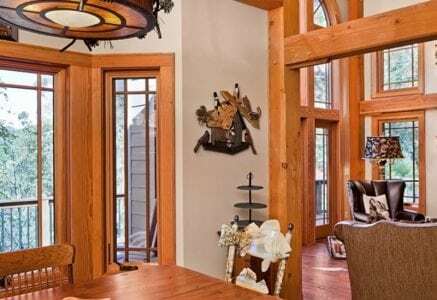 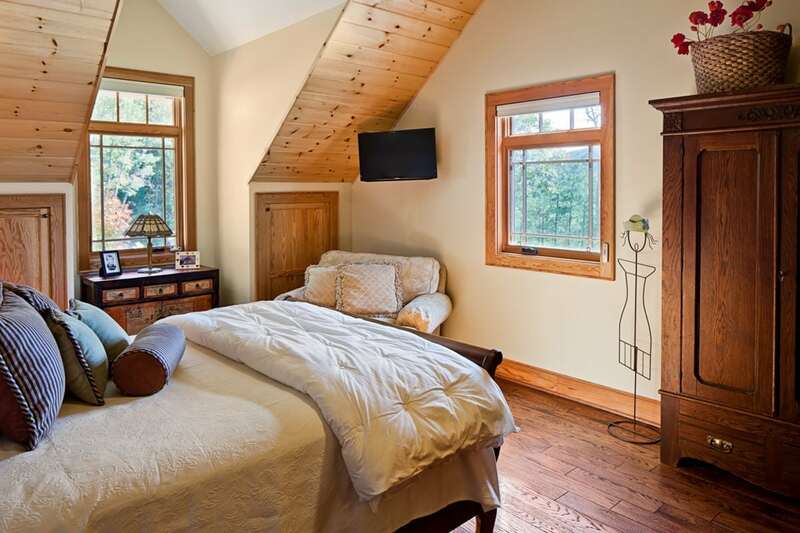 Located near the North Carolina and Tennessee state line, the seemingly endless horizon of the Smoky Mountains is captured through the great room’s timber framed window feature. 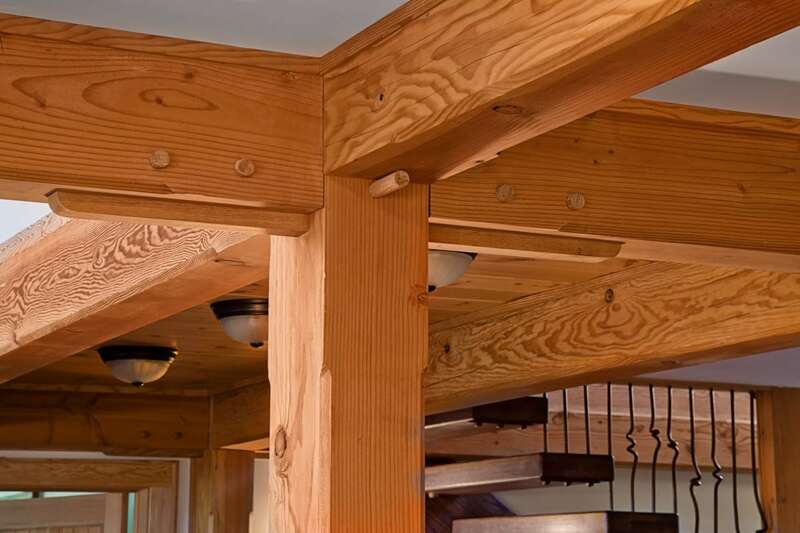 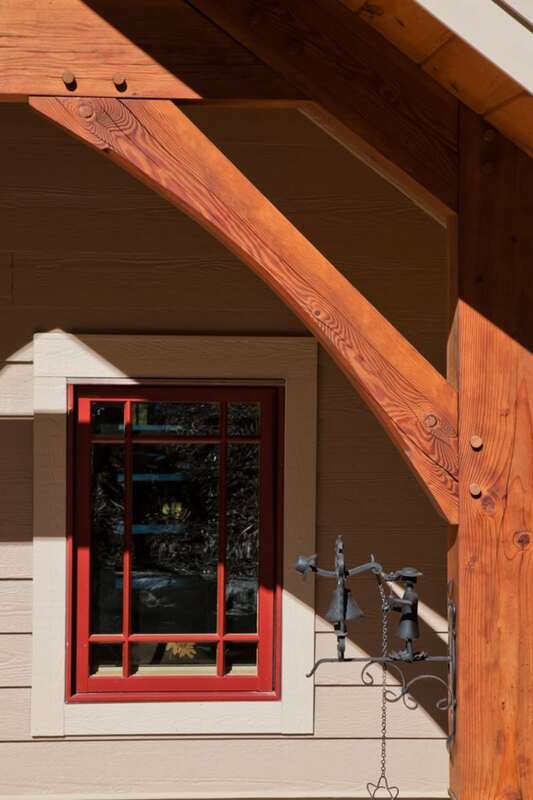 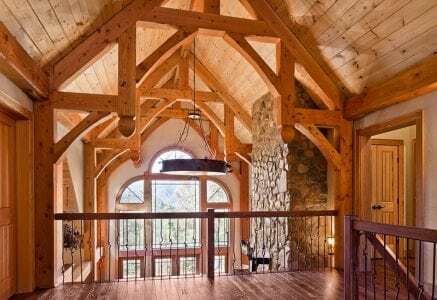 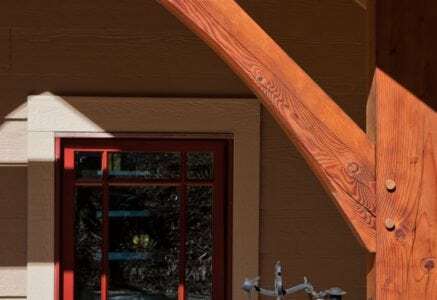 Elegant hammer beam trusses above demonstrate the intricate workmanship put into every cut and connection. 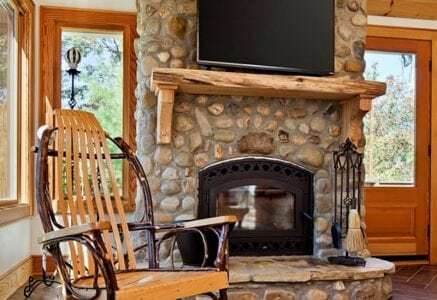 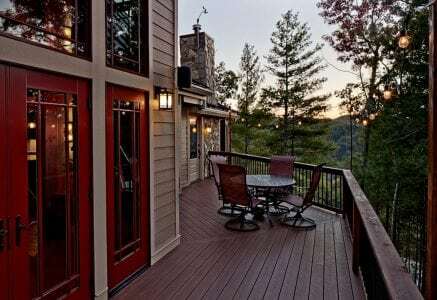 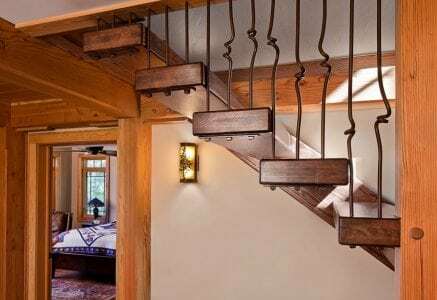 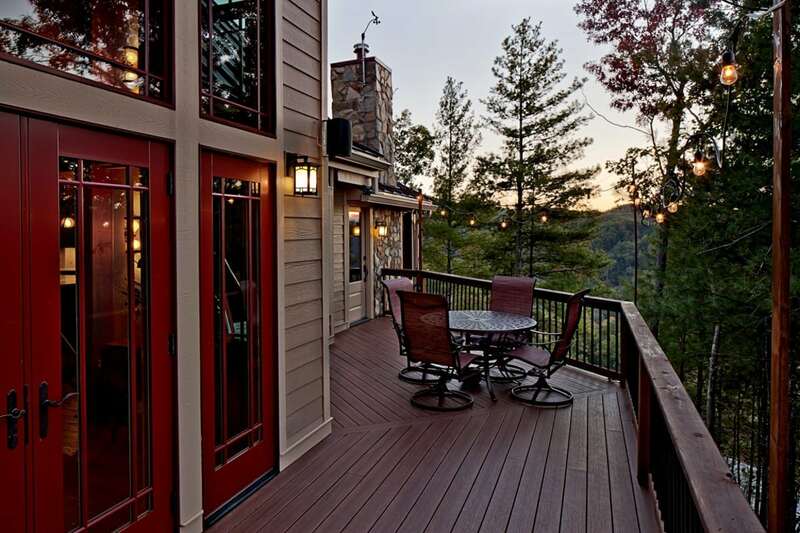 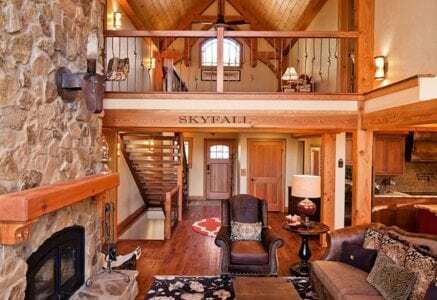 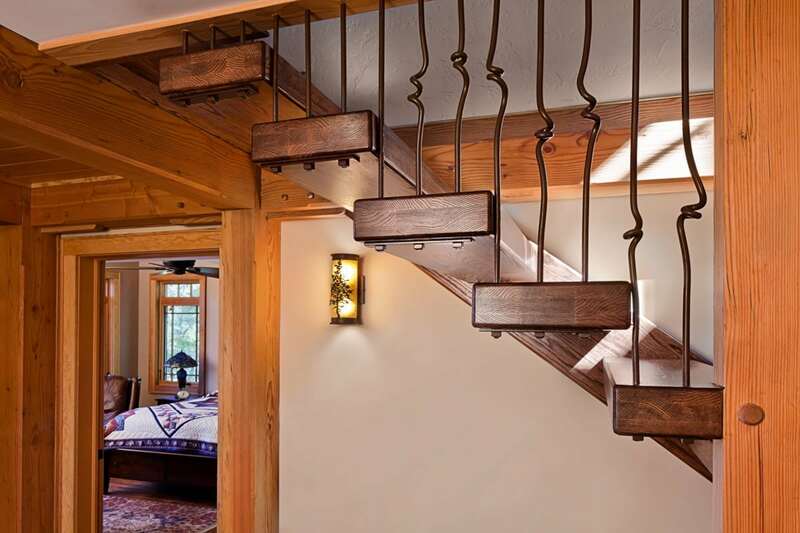 Since the home is located near Asheville, the homeowners selected a local Black Mountain blacksmith to create custom railings for their staircase and loft. 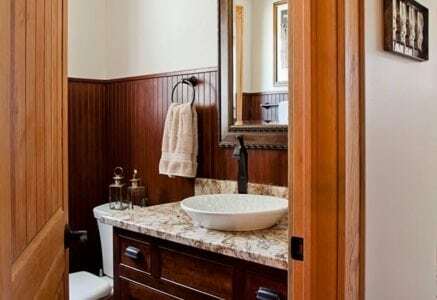 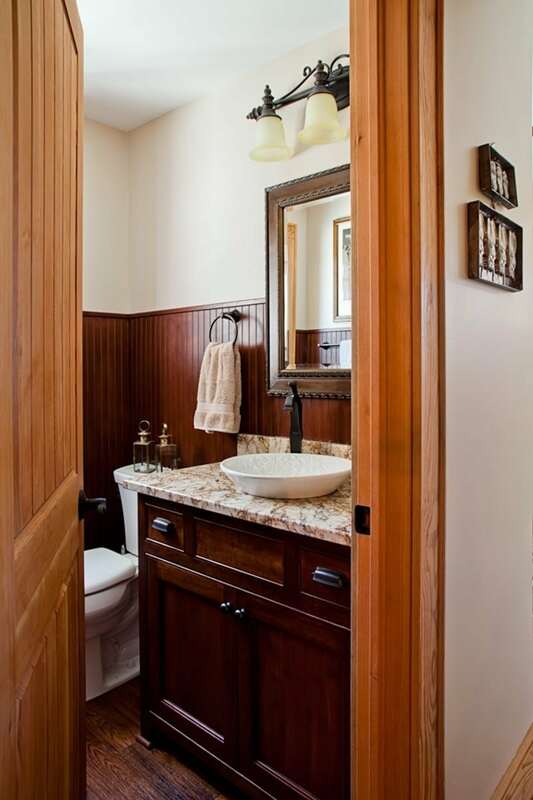 Other Craftsman details include a live-edge wood island countertop and metal sculptures that depict the local fauna.